After his brief spell at Humble Beast Eshon Burgundy is back with a new album released by the NFTRY collective. ‘The Passover’ is an expression of how, just like the angel of death passed over the Israelites the night the baby boys were killed in Egypt, God has spared Burgundy’s life and has had mercy on His soul despite his background. ‘The Passover’ is a lyrically intense affair – everything is designed to draw the listener’s ear to what’s being said. 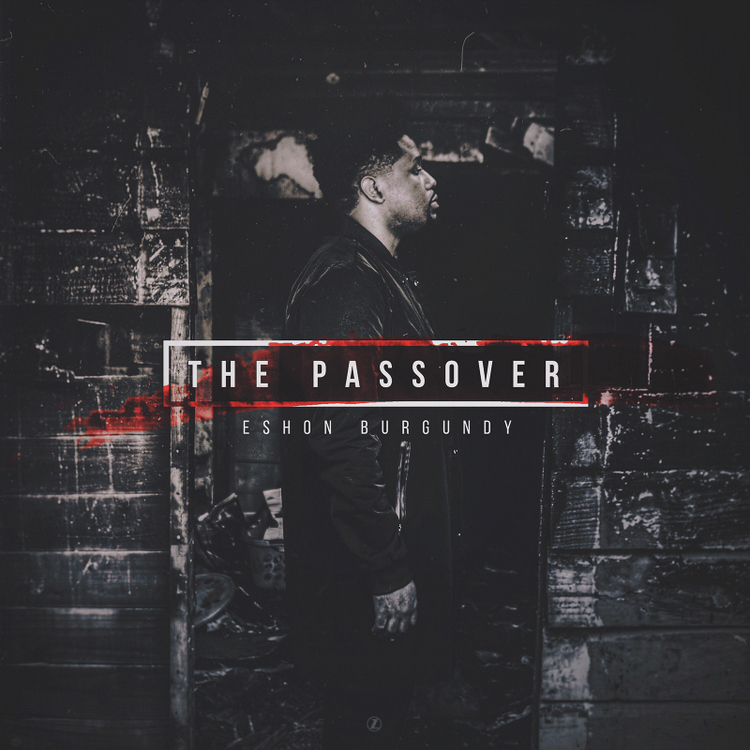 Eshon Burgundy’s impassioned raps pull no punches; there are no insinuations here as he makes it very clear that his faith is central to his life. The album is packed full of prayerful and reflective lyrics which, aside from being an open and honest testimony of God’s work in the artist’s life, encourage the listener to analyze their own life and faith. It is pithy lyrics like “Imagine giving paradise to a thief, who very well deserves hell but he get life on a beach…” that typify the whole album. You can take almost any rhyming couplet and find something to meditate on; “I just leave it up to Jesus, honest about my weakness,”. The production, handled by 8 different producers over the album’s 10 tracks, is appealing and proficient although rarely does it steal the limelight from the vocals. The album has a cohesive sound without relying on a particular style – you won’t find any single track which fits neatly into a sub-genre’s pigeon hole. No, this album just sounds like something modern without relying on current trends. Expect a carefully-chosen, well-curated selection of musically-interesting beats. The album works well as a whole and at only 10 tracks long it’s an easy one to listen to all the way through. The first four tracks feel like an early morning prayer session; Eshon welcomes the listener on ‘Intro’ with a ‘Good Morning’ before moving into the devotional ‘Bless Ya Name’, the thought provoking ‘What I Prayed For’ and the introspective ‘Dead Letter’. ‘The Great Exchange’ (produced by Wontel), one of the album’s standouts, sees a shift in pace and sonics with its rousing and urgent sung hook. In fact many of the tracks really succeed in harnessing some powerful, almost-pop choruses: ‘Before I Chose You’ (also produced by Wontel and another highlight) kicks off with one and the album closer ‘Smoke and Fire’ leaves a sweet taste due to Stef Silva’s luscious vocals and the triumphant feel of Carnegie’s production. This is Hip Hop for a darkened room and an audience of one. The listener must allow this music to occupy them – it requires focus and it requires a response. This album may not change you but it should redirect you towards one who can. Pick up “The Passover” via iTunes.